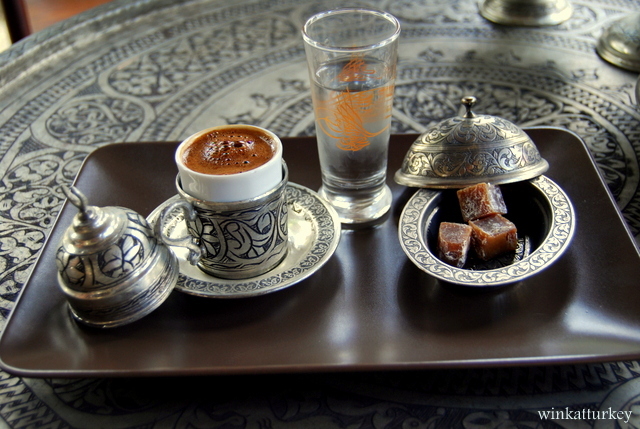 If you visit Turkey and order a Turkish coffee, in if you ocurra removerlo!! It was what I did the first time and I was awful and I started to drink up all the dregs, because it characterizes this coffee are precisely, grounds that are deposited in the bottom of the cup. Once you learn to take, becomes a pleasure. The truth is that the top is a very strong flavor, but soon the aficionarnos tomarlo. 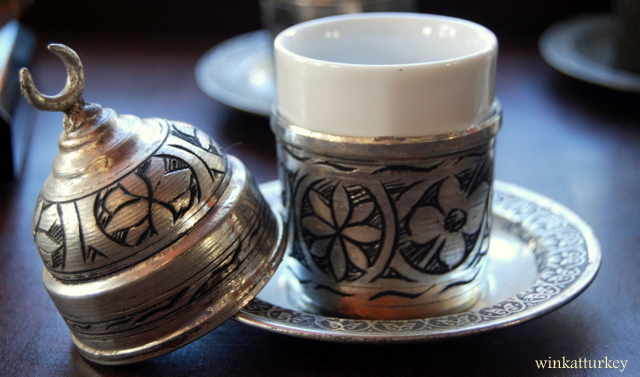 In fact, Turkish coffee is a simple drink that is taken after food, It is a culture. If you visit the country try not to let, has a unique flavor and special. 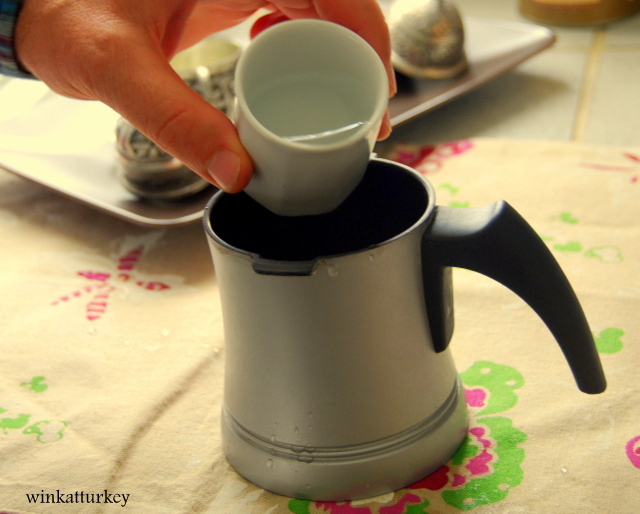 To Turkish Turkish coffee “Turkish coffee” is not only one type of coffee, is how to prepare and cook. Everyone is different and unique, Foam, odor, presentation .. This coffee is a true hallmark. Not only essential for Turkish after meal also at any time throughout the day, if accompanied, best. That is why in recent years have proliferated establishments have specialized in serving this type of coffee. There is also an entire market around, coffee makers, traditional fire pots to boil”cezve”, mugs of different materials and various designs, trays,..
Not to mention the special pastas to accompany “cookies” and Turkish delight “Finally” always served with him. The Turks love to be on the street, even on the coldest days. There is no downside to go outside and have a coffee outdoors. Find many bars and cafés in the terraces, when it's cold, portable heaters installed so we can chat, drink tea or Turkish coffee and while take a little game of backgammon. 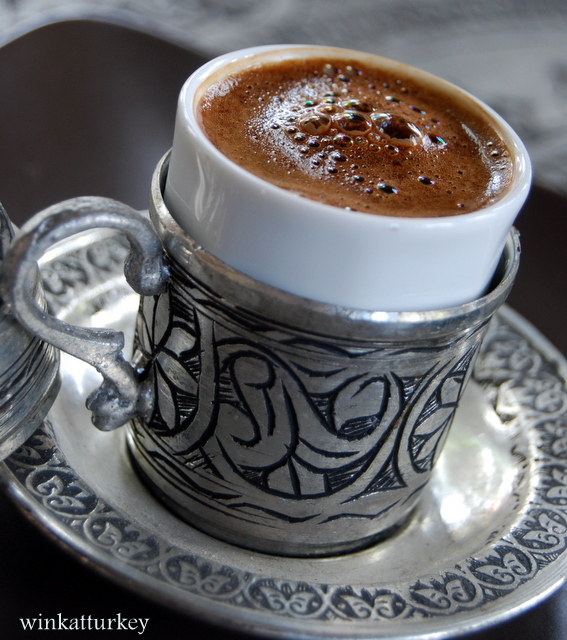 The best coffee beans for Turkish coffee are: mocha, java y Tostado Vienés. Also less oily Arabic coffee beans are a good choice. Calls beans extra fine grind. They should be as fine as in the cocoa powder. You can also grind your coffee with a grinder. 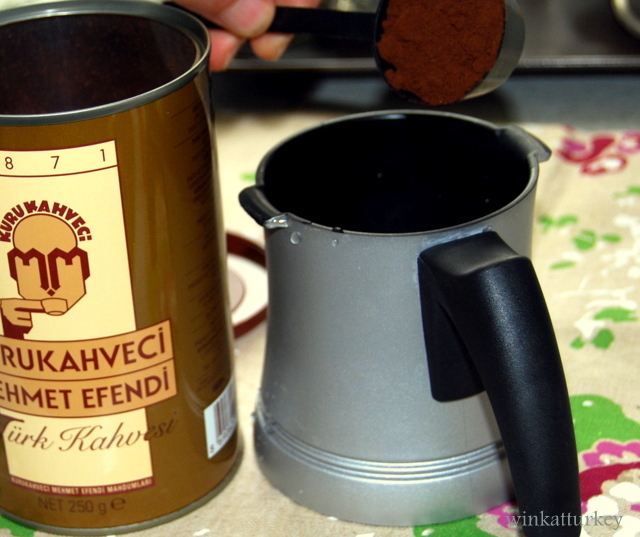 If we have already prepared Turkish coffee,that are roasted and finely ground coffee, we will use. So we need: Coffee very ground, agua y azucar. 1/8 teaspoon cardamom powder in, cinnamon, nuez nutmeg smell of the nails. The amount of water depends on the number of cups you want to prepare, as it will be the measure we use, for 1 person will be 1 cup of water, for 2 we will use 2 cups of water and so on. You can choose some sweet “less sekerli” ( 1 teaspoon sugar), fresh medium “orta sekerli”( 2 teaspoons of sugar) or sweet “very sekerli” ( 3 teaspoons of sugar). We will take the water in the container, coffee and sugar. We remove all well, better with a fork and put it over low heat until it begins to boil. The slower you cook it, will be better. We should not remove it once you put a heat. When the foam begins to bubble, transferred as the foam that forms on the cups with a small spoon. Then, when the foam reaches the edge of the container, Remove from heat and serve coffee, the grounds and all. The more foam has above, will be most appreciated. 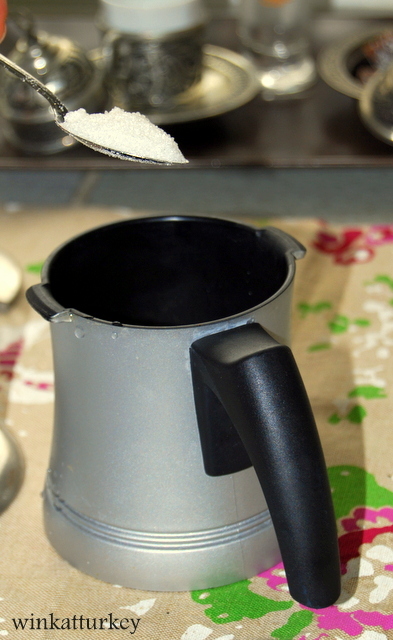 To get a frothy coffee, spend the foam cups with a spoon as you go to form. 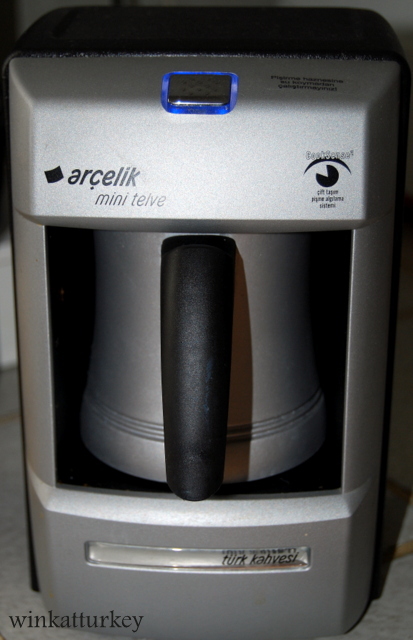 Then return the fire cezve and repeated twice before serving liquid coffee mugs. To preserve the foam that has already put on mugs, pour the coffee near the edge of the cup, not in the middle. You are ready to serve, always accompanied by some Turkish delight and a glass of water. Enjoy the rich flavor , but stop when you get to drink the dregs. It is precisely these grounds which used to read the future or providence in many parts of the country.